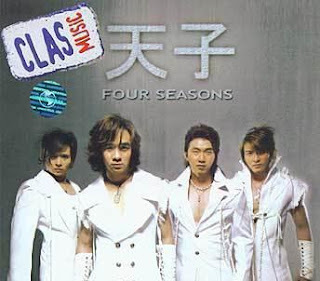 Tian Zi is one of new group in Indonesia, singing mandarin/chinesse song. I think it quite good, so, have a listen to it... I recommend it.. This MV telling that sometimes, love cant be told, but you can feel it in the heart. The film was originally titled The Blood Brothers (simplified Chinese: 刺马; traditional Chinese: 刺馬). Director Peter Chan said it was influenced by the late Chang Cheh's 1973 film The Blood Brothers, which is itself based on a famous high profile assassination of a local governor in 1870, but denied that it is a remake. He also decided to change the title to The Warlords in order to avoid confusion. (Note that there is another Chinese film with the English title Blood Brothers released in mid-2007. 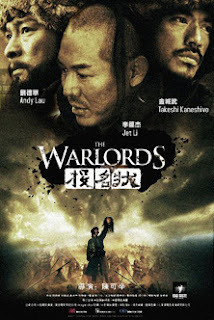 )When asked why he chose to move away from his familiar turf of romance films, Chan said that The Warlords is actually not a martial arts film at its heart, though it contains elements of the martial arts. He added that he had made a wish to make a film depicting men's affections after watching John Woo's 1986 film A Better Tomorrow over twenty years ago, and has now finally gotten the chance. His goal is thus to "lead audience to reclaim [the same kind of passion]" as in A Better Tomorrow, which he said is lacking in recent films. this movie starred by Jet Li, Andy Lau, and Takeshi Kaneshiro. i'll help you with some stuff that i have, or some links..